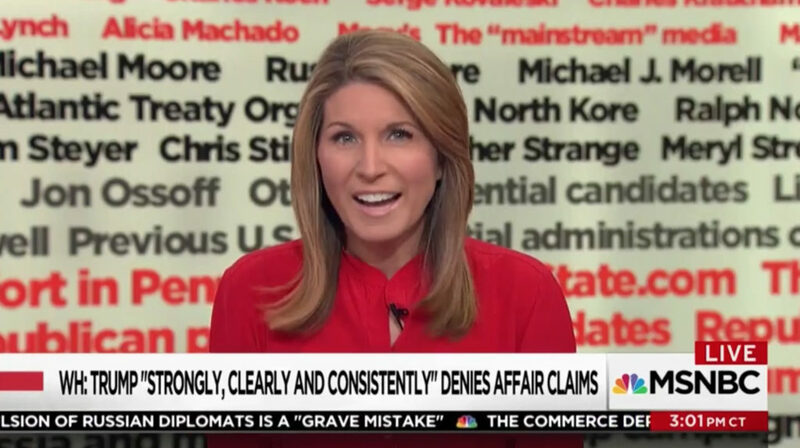 “Deadline: White House” anchor Nicolle Wallace utilized the two corner video walls in Studio 3A to showcase a list of over 400 people, places and things Donald Trump has attacked on Twitter since launching his campaign. 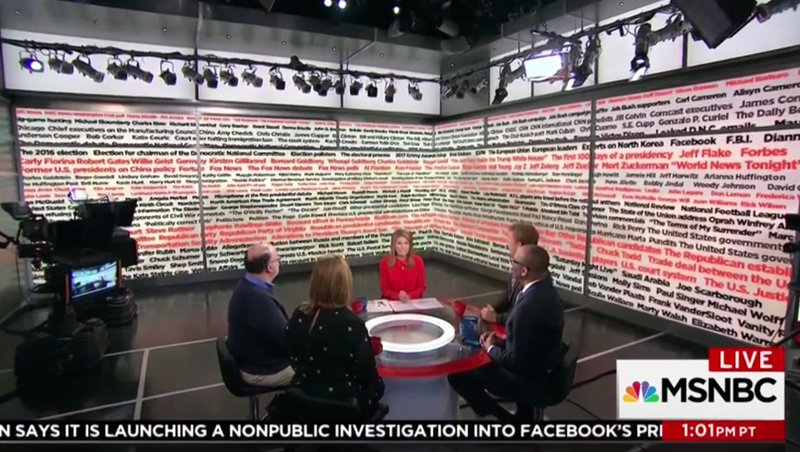 Set in a mix of red and black typography in a variety of sizes that formed stripes, the list replaced the MSNBC show’s normal Washington, D.C. backgrounds, though a video feed of the White House was used behind Wallace during other segments. Fellow MSNBC host Rachel Maddow has used the same video walls for her own running list — a “departure board” of people who have left high level government positions since Donald Trump took office. 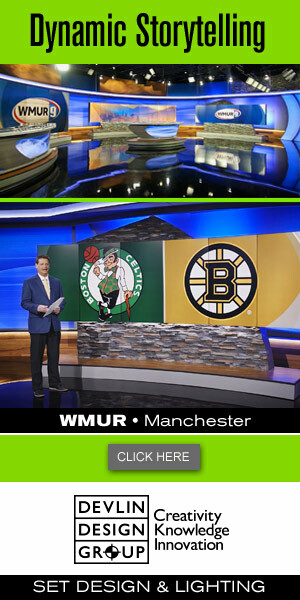 At the time, Maddow joked that she would soon need an octagon shaped studio to have enough video wall surfaces to accomodate the growing list of departures.